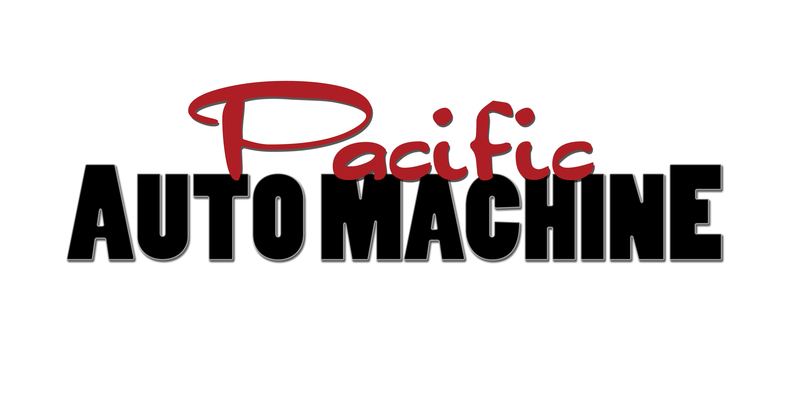 Pacific Auto Machine works on restoration of engines from vintage to high tech, tractor to marine, heavy-duty diesel to motorcycles and an occasional golf cart. We are experienced in street performance, racing and increasing your low end power. Need an update conversion of your Studebaker, BMW 2002 or any classic motor? We can handle all your needs. Locally owned since 1960, originally by father, Claude Bouchard, Pacific Auto Machine is now proudly owned and operated by son, Garry Almont. Over the years, Pacific Auto Machine has earned a reputation of quality and precision entrusted by fellow machinists, mechanics, dealers and long standing customers. For the do-it-yourselfer, we welcome your project for the family sedan or your rat rod creation. We can build it your way and we will always take time to answer questions if you’re looking for advice. With our vast experience and dedication to top notch precision, you can trust in the guaranteed service for all your machining needs.